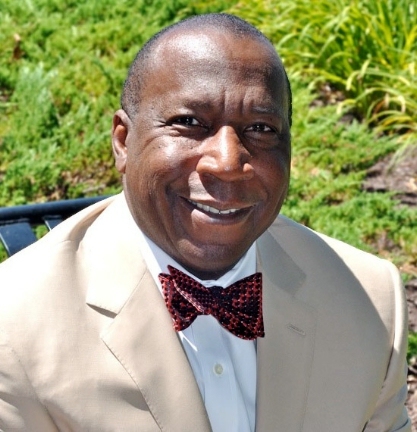 Alonzo L. Fulgham joined CH2M HILL’s Environmental Services Business Group (ESBG) in June 2012 as Vice President, Strategy and Sustainable International Development. As a member of ESBG’s Strategic Planning and Business Development team, Mr. Fulgham will help achieve ESBG’s Big E vision by identifying and securing new opportunities in targeted project geographies worldwide. His experience in global strategic planning, business development, project design, and business operations includes more than 20 years with the U.S. Agency for International Development (USAID), where, after serving as the Agency’s Chief Operating Officer, Mr. Fulgham was appointed by President Obama as Acting Administrator in January 2009. In this role, Mr. Fulgham managed a diverse, $15 billion portfolio in more than 88 countries, developing solutions to address a broad range of challenges including: climate change resiliency and remediation; food security and land management; health access and continued HIV/AIDS response; and sustainable economic development in emerging economies and fragile states. Following USAID, Mr. Fulgham joined International Relief and Development (IRD) as Vice President and led the global strategy and operations for securing non-USG business in Asia, Africa, and the Middle East. Under the “3D” approach to national security—Diplomacy, Development, and Defense—U.S. leaders including Secretary of State Hillary Clinton, former Secretary of Defense Robert Gates, and USAID Administrator Rajiv Shah have acknowledged that tomorrow’s global threat reduction and security challenges will demand more resources and more strategic focus for U.S. diplomacy and development as key partners alongside defense. Fluent in this “3D” framework, Mr. Fulgham will help CH2M HILL expand its role as a trusted provider of complex, sustainable solutions that promote public health and security in the face of extreme environmental challenges. Mr. Fulgham holds an M.A. in National Security Strategy and Resource Management from the National Defense University and a B.A. in Business and Economics from Fisk University. He serves on the Board of Directors for the Society for International Development (SID), Malaria No More, GRM International, the Futures Group, Women Thrive Worldwide, and the University of Michigan’s William Davidson Institute. He is a member of the Council on Foreign Relations; has worked and lived overseas in countries including Afghanistan, Swaziland, Jordan, Serbia, Montenegro, Georgia, and Azerbaijan; and began his career as a Peace Corps volunteer in Haiti. *ESBG’s Big E strategy focuses on the continued growth of core environmental services, while rapidly expanding capabilities in the emerging and new service areas that are important to achieving CH2M HILL’s environmental business strategy. ESBG’s goal is to create robust offerings in key Big E service areas of sustainable development, climate services, public health & security, and threat reduction.